In March last year, I wrote the only previous post in this very occasional series, but it was quite successful. Back then I wondered out loud what had happened to Lincoln, north London’s finest Americana outfit and slowly, over time some news came in, eventually from some band members themselves. If you’re interested in that story, you can read it here, but today I’ve got another band that seems to have disappeared off the face of the earth. They are (or were) Ella Guru, a seven-piece group from Liverpool who did a similar line in melodic low-key Americana to Lincoln, or maybe like a slightly fuzzier Lambchop without the soul stylings. I first encountered them in 2003 via a 3-track EP in a nice cardboard sleeve that I picked up in Flashback Records on Essex Road. It had three songs, all of them great. In a way, it’s a perfect representation of the band – there are two songs which are quiet and lovely, slow and measured, with a sublime blend of instruments and male/female vocals; and there’s one track where they up the pace a bit and deliver a rolling country-pop gem. 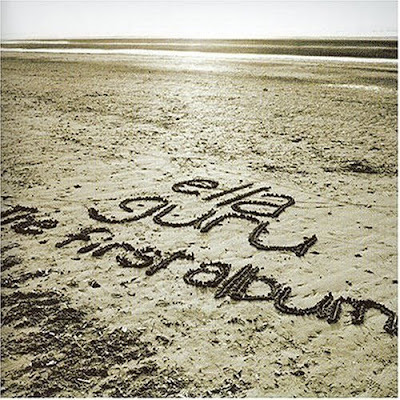 On Ella Guru’s 2004 debut album called – plainly enough – The First Album, there’s a similar balance. Mostly downbeat and gorgeous, but with the occasional foray into more up-tempo country. It’s mainly an album for late nights. Even the tracks with names like This is My Rock & Roll and Got My Mojo Workin’ can’t muster a roar or a guitar solo, but of course this is a good thing. Although there was a subsequent single Park Lake Speakers, it seems that The First Album was also the last album. The Ella Guru website is still there, but there’s been no activity on it since December 2005. There’s no Wikipedia page either (or more likely, it’s been deleted – I’m sure I saw one a while back) and since the name Ella Guru is taken from Trout Mask Replica, Googling them gives a load of Captain Beefheart links, as well as info about the artist who’s taken the same name. So very little info out there on what happened to this great band. I’m assuming that they’ve split up, but would be delighted to hear that they haven’t. Whatever, hit me with the news – I’m all ears. The last track above is from The First Album. You can download the whole album from emusic – I strongly recommend that you do. I absolutely concur. That EP is wonderful the whole way through. I saw Ella Guru supporting Silver Mount Zion at the Scala in must’ve been… 2003? They were great live too, held the crowd exceptionally for a support act.